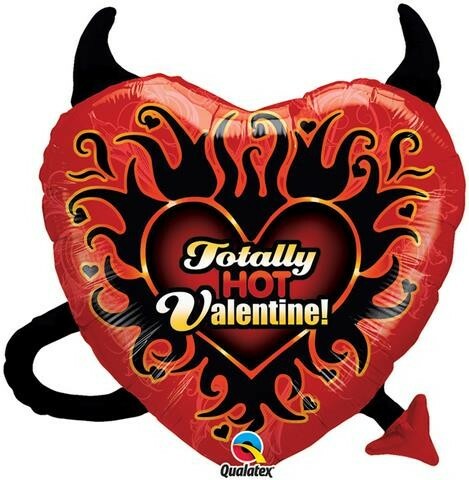 UNPACKAGED Totally hot valentine supershape foil balloon that measures approximately 25 inches. Red heart shaped balloon with black fire pattern; horns coming from the top and an arrow coming out the bottom. Perfect gift for somebody special on valentine. Suitable for both air and helium filling. Please note balloon comes unpackaged.